Finepac has been manufacturing Pusher Centrifuge for solid liquid separation. Solid liquid separation in continuous operation. Low energy consumption per unit production. Low maintenance cost with simple maintenance methods. Higher throughput with a compact machine. Higher solid throughput with minimum residual moisture. Cylindrical basket, multistage machines are possible. Easy rotor assembly, simpler dismantling and installation process. 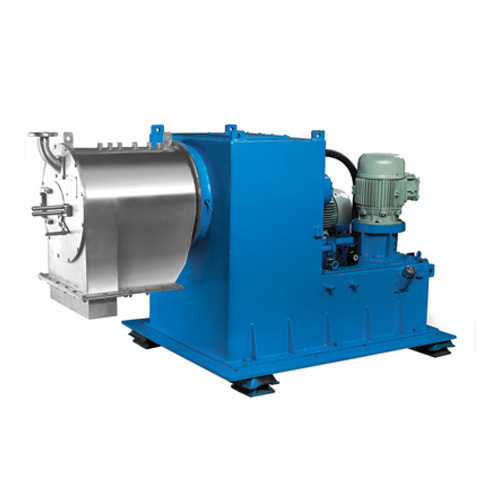 Lower pusher pressures, and reduced axial pressure, low energy consumption. Relatively thick cake formation, high wash efficiency can be achieved. Cellulose Acetate, Hexamine, Hydroquinone, Melamine, Oxalic Acid, Dichloro Benzene & many other chemicals.